Catching Fire has so many awesome outfits for Katniss. There are so many I want to make. But sometimes it’s just easier to buy the outfit or the pieces. Case in point, the training outfit. I have the Neca replica of the training shirt from the first movie; it was only natural that I would get the outfit from the second movie. The original outfit designer, Lucas Hugh, made the entire outfit (jacket, capri, shirt, and bra) available for purchase. However, even as a set the outfit was priced at 550 pounds (roughly the equivalent of $900). Luckily NECA came out with their replicas. Hot Topic didn’t have them available but I managed to find NECA’s eBay page. I was able to get the jacket and the capris for 1/10th the cost of Hugh’s set. Alas, I don’t have the shirt and bra but they are not necessary components if you are wearing the jacket. 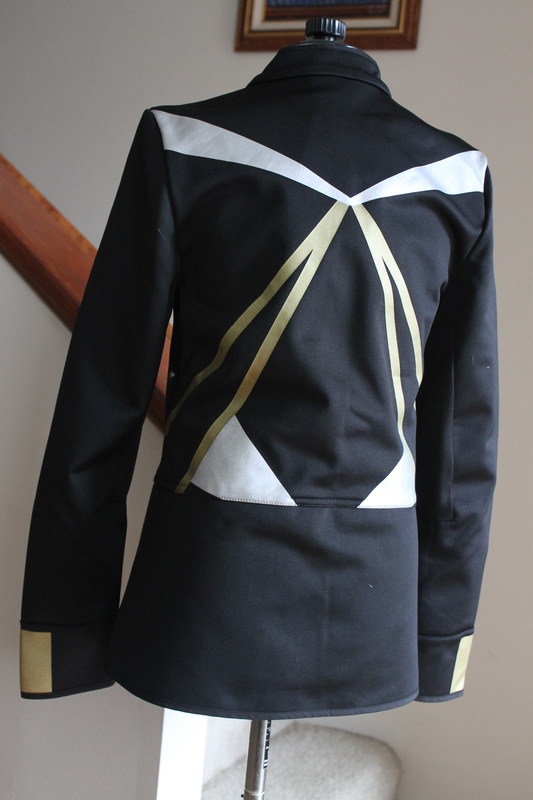 I plan to wear a plain black tank underneath; if I can find some silver reflective fabric, I’ll add the accents later. 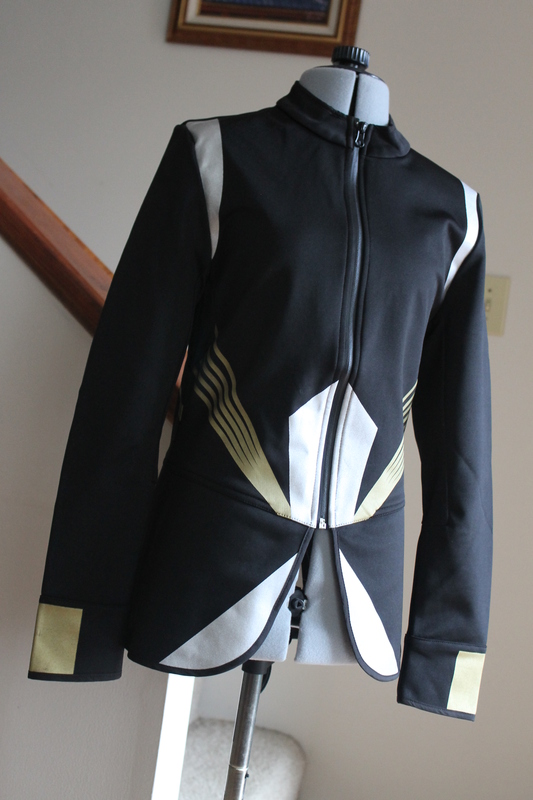 The jacket…omg I love the jacket. The outer fabric feels sturdier and different from the capris, but the colors compliment each other well. It has a felt lining which allows it to be worn in the cooler temps of spring and fall. The slight peplum bottom hides my larger hips and gives a very streamlined appearance. I have a smaller chest to the top was a tad boxy on me but I can live with that. The capris are made of breathable stretch lycra that doubles as an actual pair of work out pants. There’s a good amount of stretch in them to fit most body types, but I think the sizing is a little on the large side (I bought a small and it fits perfectly to my pear shaped body). Ladies, beware; the side paneling is mesh so if you’re like me and can’t go commando, think about your options. I need to find some black sneakers to wear with these. I am eyeing a pair of Skeckers that are low cut on the ankle and are not too expensive but we shall see. P.S. I have no idea why my pictures are tilted. I was standing perfectly straight when taking them. Guess I need a little more practice. This entry was posted in Cosplay, Hunger Games and tagged catching fire, cosplay, hunger games, katniss, katniss cosplay, katniss everdeen. Bookmark the permalink. 1. Just found your website and love it. 2. Could you tell me size you bought in the jacket? Looking to buy one and don’t know whether I should get a small or extra small. Saw your measurements in the other post and looks like we are about the same. I bought the jacket in a size small.